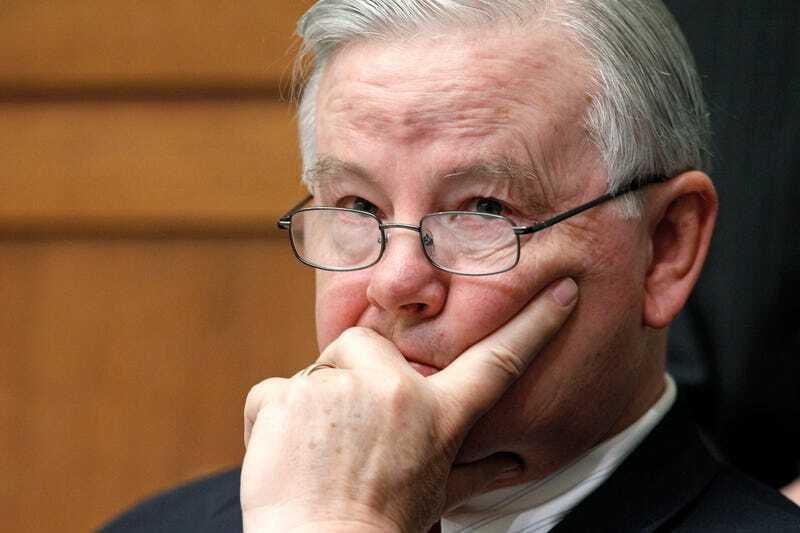 Rep. Joe Barton (R-Texas) has a plan to stop ISIS today at a Federal Communications Committee hearing: Censor the internet. “I’m not sure our authority extends to picking and choosing amongst websites,” FCC Chairman Tom Wheeler responded, stating the extremely obvious. Barton then asked if there was a way Congress could grant the government authority to shut ISIS websites down. Wheeler pivoted, noting that the government needed to focus on the security of its networks, but Barton wouldn’t let it go. “They’re using the internet in an extremely offensive, inappropriate way against us, and we ought to be able to make it at a minimum much more difficult, and hopefully absolutely shut it down,” Barton continued. This is how deeply some members of Congress misunderstand the internet. It’s true that social media platforms have not succeeded in preventing ISIS from using them as distribution channels for propaganda, and it’s scary. But giving the government authority to shut down websites when it doesn’t like the speech happening on them would eviscerate the First Amendment. There’s a very good reason the Federal Trade Commission doesn’t have the authority to shut down individual websites when it doesn’t like them, as the ACLU’s Gabe Rottman told Gizmodo. “To the extent criminal conduct is occurring on social media, the providers are already self-policing, and rightfully so,” said Rottman, a legislative counsel and policy advisor at the ACLU. The propaganda ISIS puts online is a threat. But wholesale censorship is not the answer.